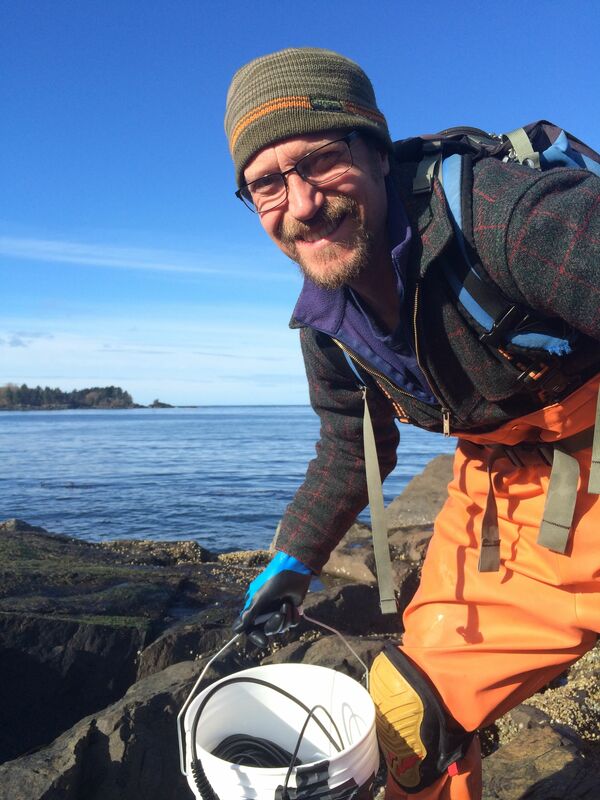 I am interested in linking community-level and ecosystem-level processes, especially in marine systems. Ecological communities are composed of suites of interacting species, and I study how those species mediate the transformation and flux of energy and nutrients. Like many complex systems, a functioning community can be greater than the sum of its parts, and my work highlights the emergent role of biodiversity as a driver of important ecosystem functions such as nutrient cycling and biomass accumulation. I am also interested in the role of local-scale versus large-scale processes, spatial subsidies, and non-traditional species interactions. For example, I have done quite a bit of research into the roles of consumers as mediators of nutrient availability in marine systems. I am interested in how endosymbiotic algae shape ecological communities. Many of the organisms that we think of as sea anemones include not only the cnidiarian animal but also symbiotic unicellular algae. Together the sea anemone, its bacterial microbiome, and millions of symbiotic algal cells make up a holobiont. This holobiont photosynthesizes, serving as a primary producer, and simultaneously acts as a predator, consuming organisms that wander or fall within reach of its tentacles. For this reason, holobionts – both animal and plant – play complex roles in their communities and ecosystems. I am currently investigating three questions. Is sea anemone diversity in California rocky intertidal communities driven by trade-offs between photosynthetic products and diet? 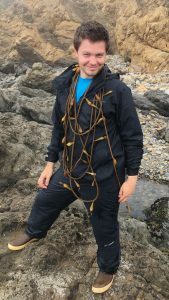 Do sea anemones provide microhabitats for mobile invertebrates? 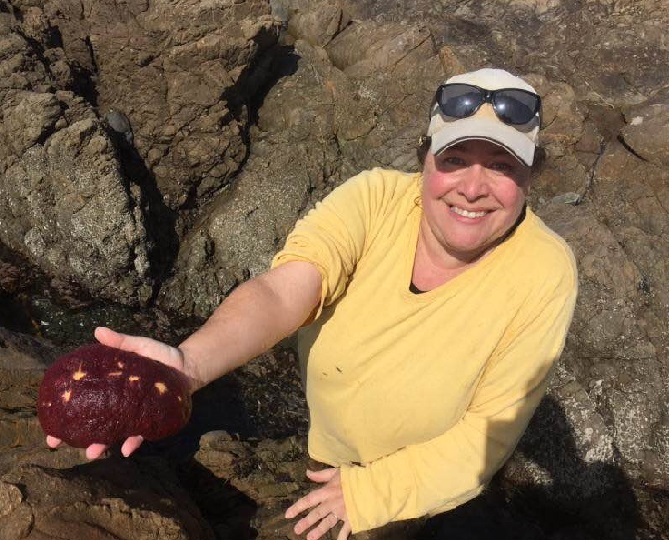 And are algal symbionts genetically distinct among habitats and sea anemone tissue types? My aim is to better understand the role of endosymbiotic algae in communities and ecosystems. 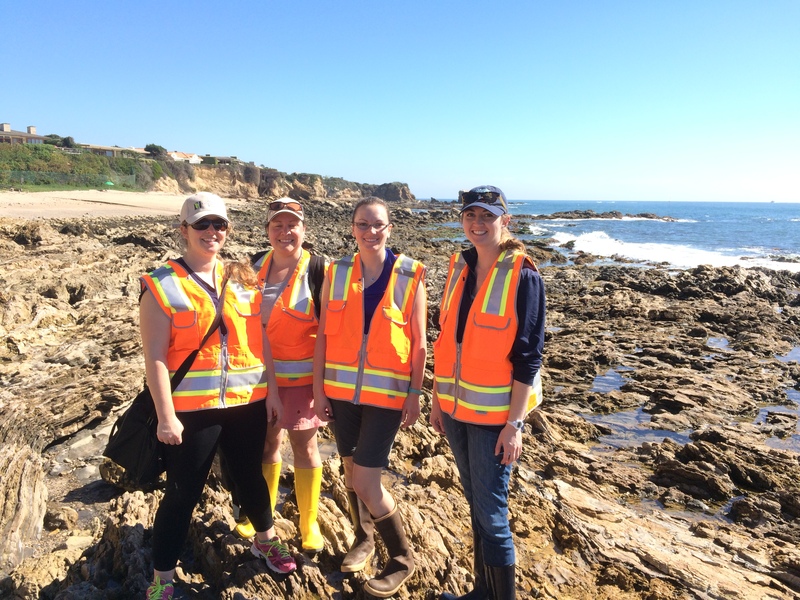 The abiotic conditions that intertidal organisms experience differ depending on season and location. These differences can play important roles in determining the distributions and abundances of species at various locations. 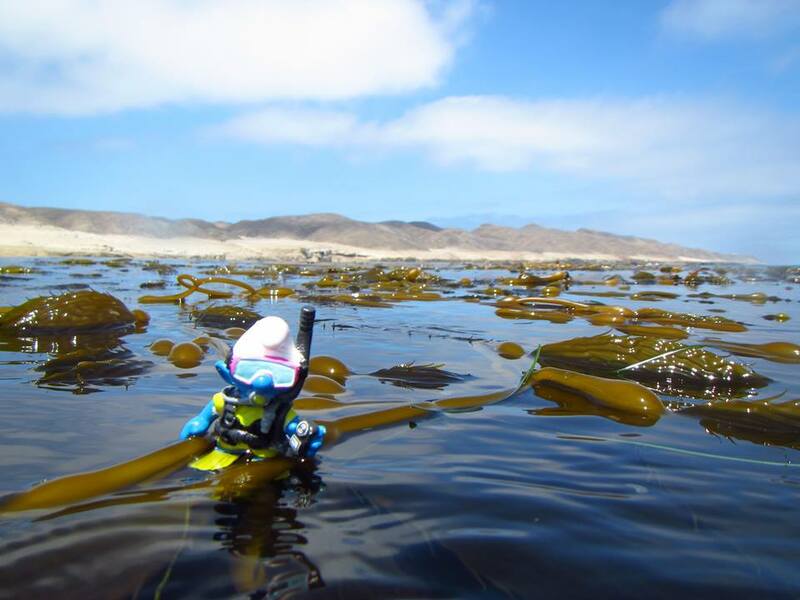 I am interested seaweed diversity along the U.S. west coast and how the abundances and roles of species change with latitude. 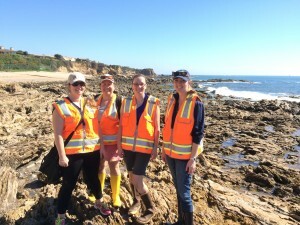 I have been conducting observations and experiments at multiple sites spanning the California coast to investigate changes in the abundances and roles of particular species, especially rockweeds such as Pelvetiopsis californica (previously, Hesperophycus californicus), Pelvetiopsis limitata, and Silvetia compressa. 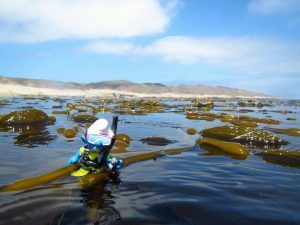 Additionally, I have evaluated patterns of species co-occurrence to assess aggregation and segregation and evaluate potential changes in species interactions with latitude. I received my B.S. in biology from the College of Charleston, where my research focused on the invasive algae Agarophyton vermiculophyllum (formerly Gracilaria vermiculophylla). As part of a large project, I investigated the tolerance of world-wide native and non-native populations of A. vermiculophyllum to various stressors, while my independent research looked at possible mechanisms for the maintenance and decline of the haplo-diplontic life cycle in a non-native population of A. vermiculophyllum (Lees et al. 2018). After graduation, I worked in a biogeochemical oceanography lab, looking at the co-limitation of iron and vitamin B12 on phytoplankton in the Ross Sea. This work got me interested in the role of the microbes in the stability and functioning of marine systems. 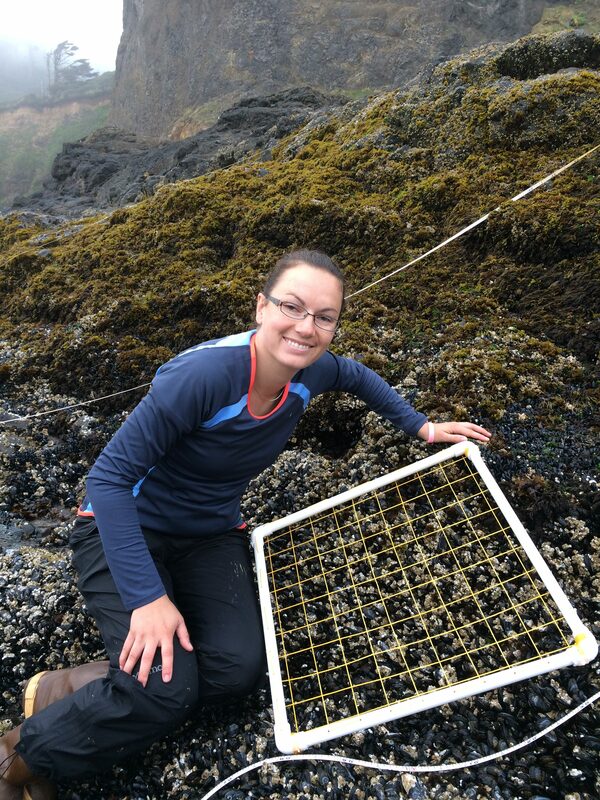 I am currently working on evaluating the role of various marine microbial communities as a part of larger intertidal ecosystems, including current research evaluating the effects of herbivores, temperature, and nutrients on microbial diversity and functioning. I’m broadly interested in the stability and diversity of these systems in the context of climate change and how ecosystem functioning is impacted as a result. In 2012, I graduated from Northeastern University in Boston, Massachusetts, with a M.S. in Biology. For my thesis, I conducted several field experiments at the Wells National Estuarine Research Reserve in southern Maine, where I studied the consumptive and nonconsumptive effects of the invasive green crab (Carcinus maenas) on macroinfaunal diversity and abundance and ecosystem functioning in a New England salt marsh. Throughout graduate school, I had the opportunity to conduct various lab and field experiments to assess ecological impacts of benthic species on their environment, in both rocky shore and salt marsh habitats. I have always been interested in understanding the impacts of invasive species in their new environment and how we can minimize their potential negative effects. After graduate school, I worked at the the NOAA (NMFS) Milford Laboratory in Connecticut. 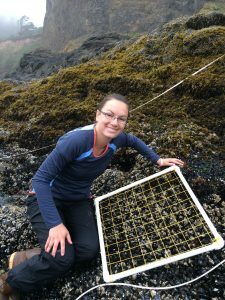 As a research technician at NOAA, I worked on several projects, including ocean acidification, dredging effects on marine habitat, and bioextraction of nutrients from marine environments using bivalves. In the field I have taken sediment cores, water samples, and biological samples for analysis. In the laboratory, I am proficient in using various analytical instruments such as the Lachat Quickchem 8500, Quaatro seal analytical, spectrophotometer, fluorometer, elemental analyzer, YSI and other various pieces of equipment. I had the opportunity to learn and master several techniques including water chemistry analysis (nitrate, nitrite, ammonium, phosphorus, silicate), sediment grain size, nutrients, DIC, pH, DOC, POC/PON, alkalinity, total phosphorus, and carbohydrate analysis. 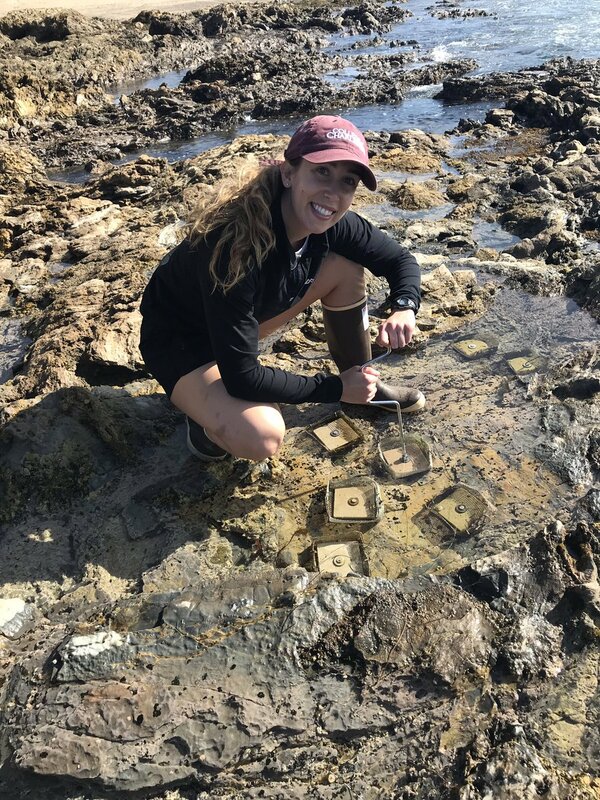 Undergraduate researchers in the Bracken Lab are working on a variety of projects, including work to understand the roles of seaweeds in California’s intertidal communities and experiments to evaluate the impacts of UV radiation on algal-cnidarian symbioses.